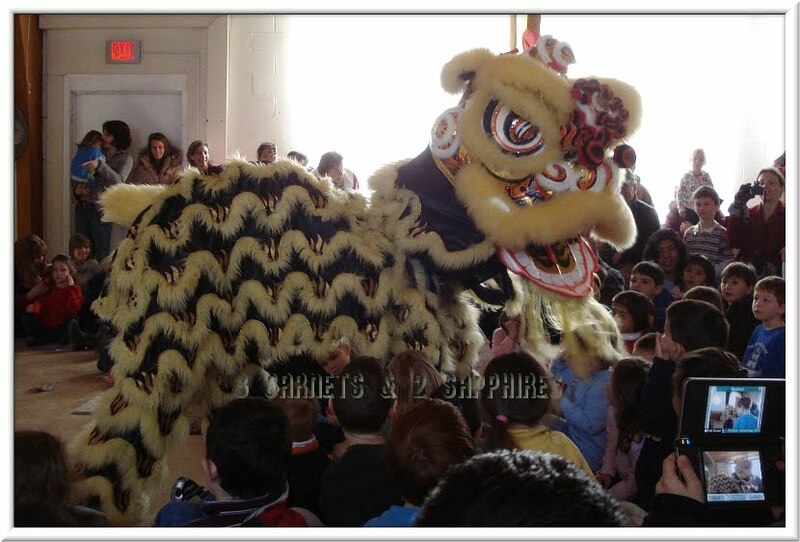 As a February school vacation treat, a school in one of our surrounding towns hosted a free event in honor of Chinese New Year. 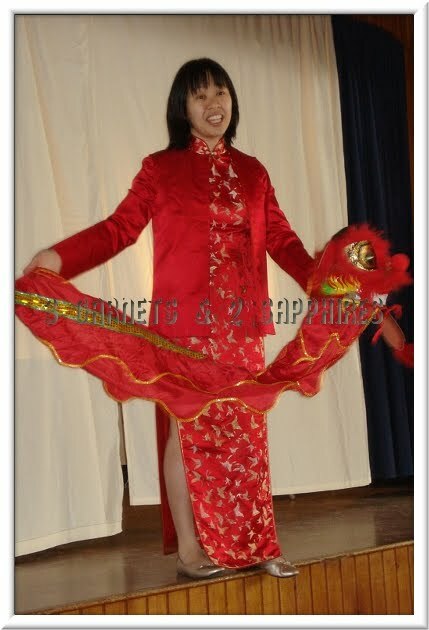 The main attraction was to be a lion dance by the Boston Chinese Freemasons. 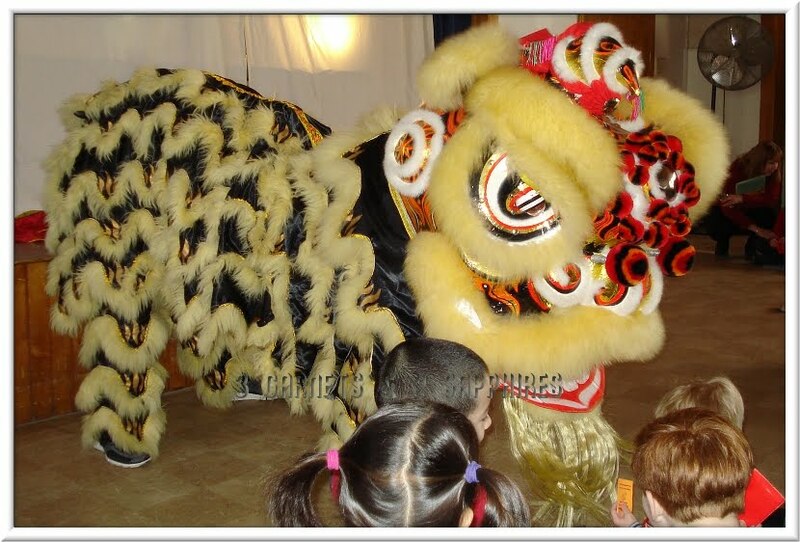 I remember watching lion dances when I was little in the streets of Boston's Chinatown. The drums and the firecrackers were terribly loud for my little ears. That is why we have not taken our little ones yet. This show seemed like the perfect opportunity for them to watch a traditional lion dance in a controlled environment, where they were less likely to become overwhelmed. 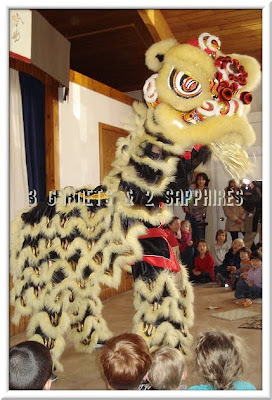 They had read about such dances in children's books about Chinese New Year, so they were already somewhat familiar with it. 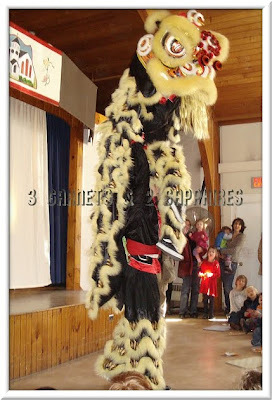 They soon learned that reading about the lion dance in a book does not compare to experiencing one in person. 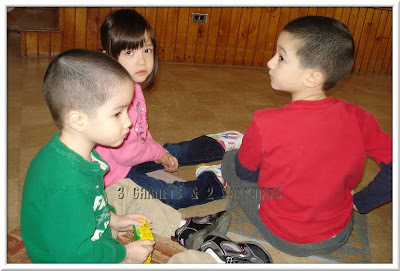 The show started a bit late and the natives were starting to get restless . . .
We received a brief introduction about Chinese New Year . 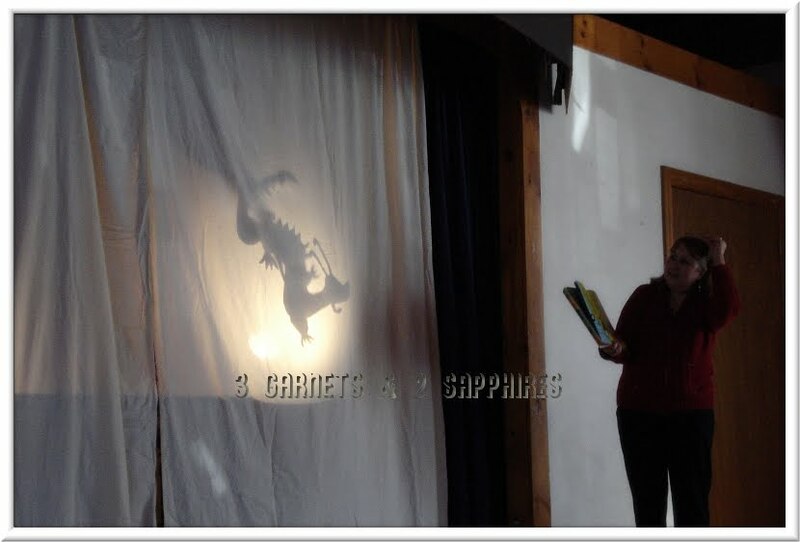 . .
Before the lion dance commenced, we heard a story illustrated by shadow puppets. Then it was time to wake the lion . . . The drummers and the dancers did an excellent job engaging both the children and the adults . . .
All three of our children enjoyed the lion dance very much. 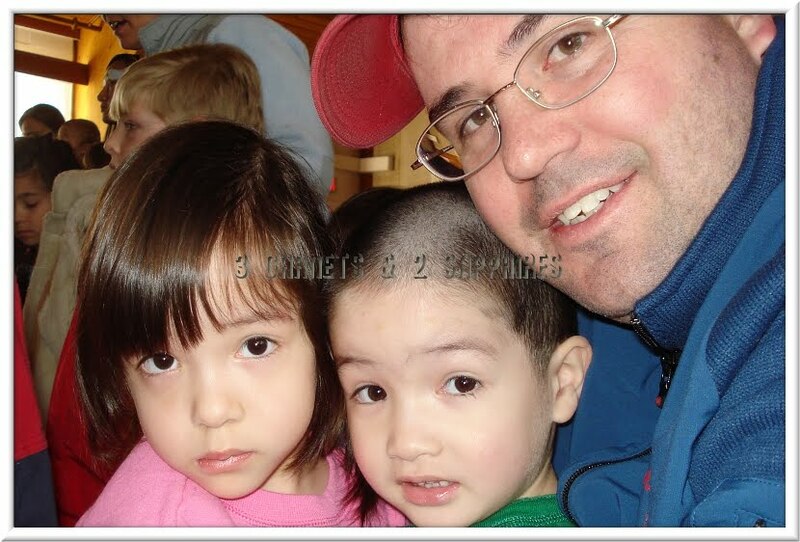 Our preschoolers thought the lion was a bit scary, but still very cool. Only our 4 year old son accepted the invitation to gently pet the lion after the show. The entire show lasted less than 45 minutes, but I think it helped to create some fun memories for our children.